I've designed a grid in Fusion 360 and I loaded it up in Cura 3.4.1 for printing. 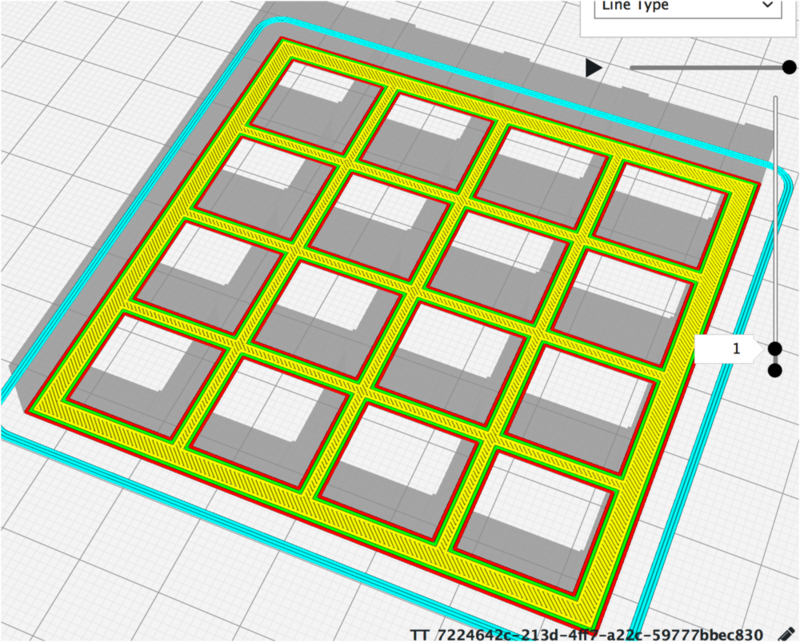 I'm using mostly default settings, except 15% infill overlap, Concentric infill 50%, and a few custom temp and jerk settings. I have Combing Mode "All" and Max Comb Distance with No Retract set to 20mm. 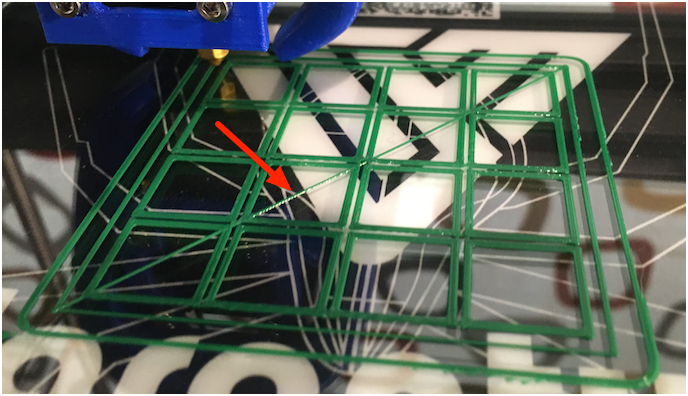 The problem is that the very first layer has an unexpected long diagonal that is *not* a travel string, but a deliberate extrusion at the non-travel speed. It does not appear in the Layer View at all. I had another print yesterday that seemed to do similar things - it was a set of tessellated hexagonal cylinders and inside each cylinder there were definite non-travel strings at some places - maybe 20 or so in total, none of them "dribbling strings", all properly extruded bridges that are not supposed to be in the design. Ok, I think in this case it's simply a non-retraction travel on the base layer. Not sure why it does this - I guess because I have 20mm set for the Max Combing distance but the first-layer "no retraction" overrides this, resulting in a continuous extrusion during travel on the first layer, but because it's not combing for this travel, it just goes right across the layer. It's easy enough to remove the strings with a scalpel. Hello @meowsqueak, could you please post a .curaproject.3mf file, it's not really possible to understand what's happening from your description. @smartavionics unfortunately I didn't save the .3mf and I'm not in a position to recreate it right now and test that it still shows the problem, but if I see the problem again in my future prints I'll report back. Sorry I can't be more helpful.